Posted on March 5, 2012 by Akashic Love & Light! Iceland is a land of extremes filled with hot geothermal springs, ice cut fjords and sub-glacial volcanoes. 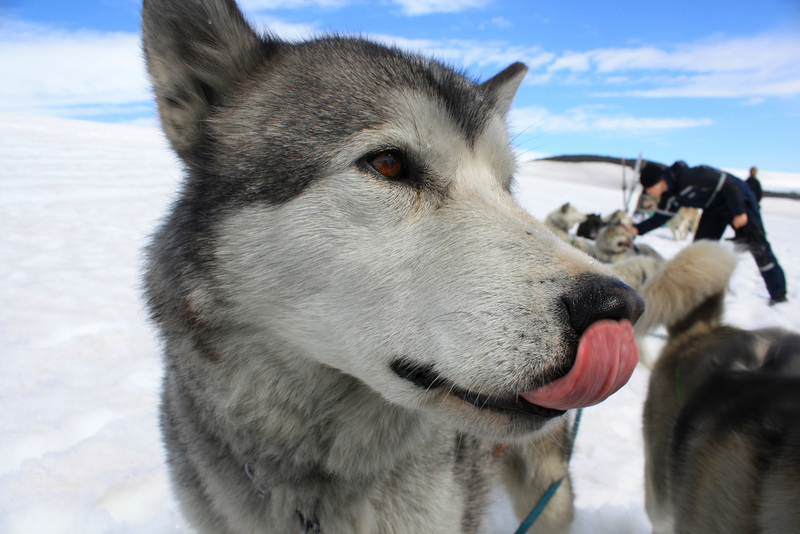 What better way to tour Iceland’s natural beauty than by dog sled? 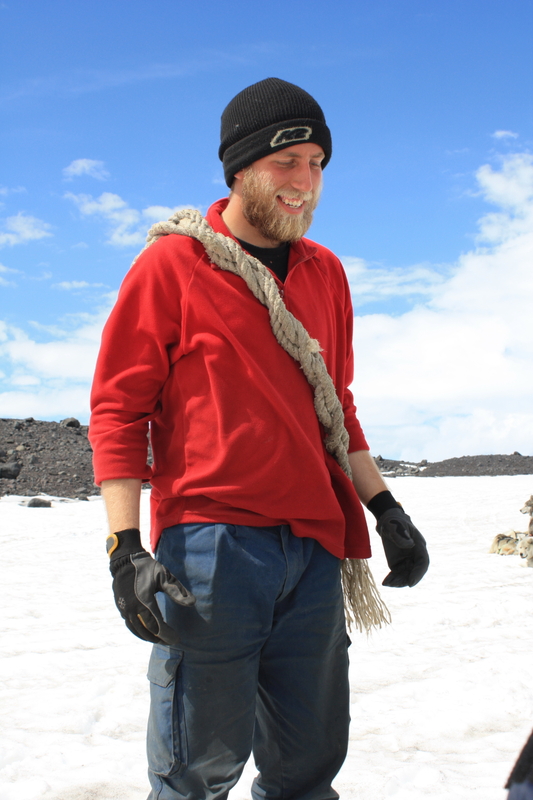 “Waiting at the top of the Mýrdallsjökull glacier was a team of ten anxiously waiting sled dogs. 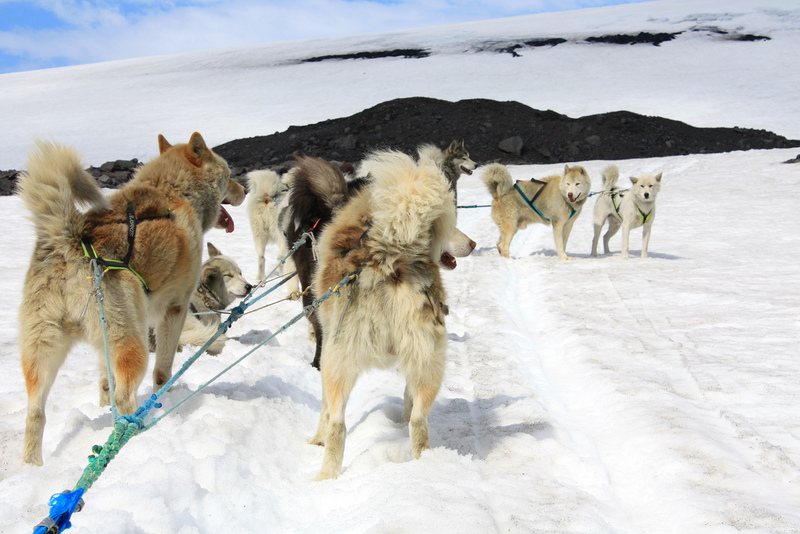 These tough but adorable dogs are purebred Greenlandic Huskies, Yann our dog musher told us. Despite their tough exteriors these dogs are friendly and playful. After playing with the dogs for awhile, we climbed onto the long white wooden sled. Markus the second musher, warned us to sit as far back as possible and leave enough space in the front for them to stop the sled in case of emergency. Though I was not quite sure what that meant, I did as instructed. Markus ran up ahead to lead the dogs so they wouldn’t keep stopping and playing with each other. Yann and Markus skijored (skied) alongside the sled calling out commands to the dogs. “Hike!” they shouted, to get them to run, “Haw!” they yelled to turn left, and “Gee!” to turn right. Read my full article online at Dog Sledding Adventure Tours Near Reykjavik Iceland. This entry was posted in europe, photography, travel and tagged adventures, Dog, dog sled, huskies, Hydrothermal vent, iceland, Markus, mush, Sled dog, travel, Whoa!, Yann. Bookmark the permalink.